This will of course also work on Vista computers too since the add-on was originally release for Vista and UMPC machines. 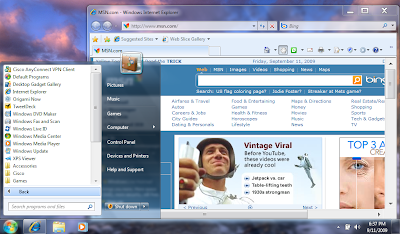 – Download and Install the Microsoft’s Origami Experience 2.0 add-on for Vista. 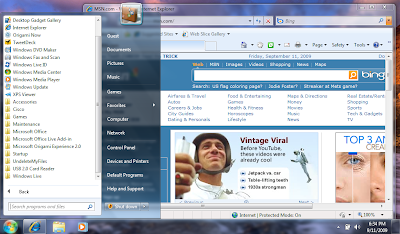 You will need to do this from an Activated XP/Vista/Win7 machine. – Go to your Start Menu > All Programs > Origami Experience 2.0 > Touch Settings. – These are the settings I use for my touchscreen on my MSI Wind U100 (solderless kit). Since i do not use a pen for writing, i leave the Tablet PC Input Panel as No Change. – Log off and back on for changes to take affect. — Also, the origami now and central apps are really nice media players/information boards that are optimized for touchscreen devices (ie UMPC, netbooks w/touchscreens) and runs decently on an Atom N270 cpu w/2GB DDR2. — Picture Password lets you setup a password that uses a picture and your password would be you touching a certain pattern.